Great way to open. 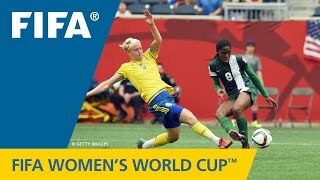 A talented Nigeria team came from two-goals down to earn a massive point against Sweden a FIFA Women’s World Cup Group D game. 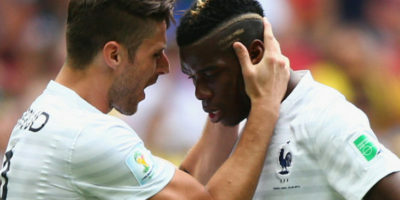 France progressed to the quarter-finals of the 2014 FIFA World Cup on Monday with a 2-0 victory over Nigeria at Estadio Nacional in Brasilia. (SportingAlert.com) — The World Cup round of 16 continues on Monday with France v Nigeria and Germany v Algeria, as two more quarter-finals places are up for grab. (SportingAlert) – The following are the FIFA World Cup results and points standings after the scheduled games on Saturday, 21 June. Nigeria will look for a positive start to the 2014 World Cup tournament when they take on Iran in their Group F opener on Monday. 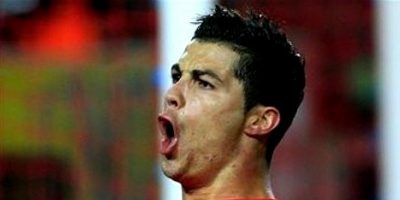 (SportingAlert.com) — TV Channels and live streaming coverage for day five of the FIFA World Cup Finals in Brazil on Monday. There are three games on the schedule for the fifth day. (SportingAlert.com) — Nigeria take on fellow World Cup qualifiers Greece in a pre-tournament game this evening at PPL ParK in Chester, Pennsylvania. Manchester United forward Javier Hernández has been handed a starting for Mexico for tonight’s friendly football international clash against Nigeria. CAPE TOWN (Sporting Alert) — A stunning second half display saw Nigeria rallied from a three goal deficit to beat Morocco 4-3 in the first quarter-finals at the African Nations Cup Championships at Cape Town Stadium on Saturday afternoon.